Have we gone mad? A new report released today explains why contemporary climate change policy-making should be characterised as increasingly delusional. As the deadline approaches for submissions to the Australian government's climate targets process, there is a flurry of submissions and reports from advocacy groups and the Climate Change Authority. 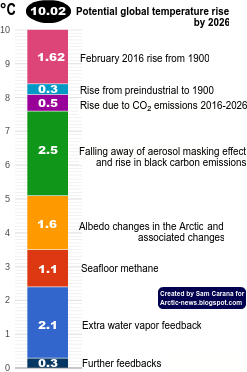 Most of these reports are based on the twin propositions that two degrees Celsius (2°C) of global warming is an appropriate policy target, and that there is a significant carbon budget and an amount of "burnable carbon" for this target, and hence a scientifically-based escalating ladder of emission-reduction targets stretching to mid-century and beyond. A survey of the relevant scientific literature by David Spratt, "Recount: It's time to 'Do the math' again", published today by Breakthrough concludes that the evidence does not support either of these propositions. The catastrophic and irreversible consequences of 2°C of warming demand a strong risk-management approach, with a low rate of failure. We should not take risks with the climate that we would not take with civil infrastructure. There is no carbon budget available if 2°C is considered a cap or upper boundary as per the Copenhagen Accord, rather than a hit-or-miss target which can be significantly exceeded; or if a low risk of exceeding 2°C is required; or if positive feedbacks such as permafrost and other carbon store losses are taken into account. Effective policy making can only be based on recognising that climate change is already dangerous, and we have no carbon budget left to divide up. Big tipping-point events irreversible on human time scales such as in West Antarctica and large-scale positive feedbacks are already occurring at less than 1°C of warming. It is clear that 2°C of climate warming is not a safe cap. In reality, 2°C is the boundary between dangerous and very dangerous climate change and 1°C warmer than human civilisation has ever experienced. 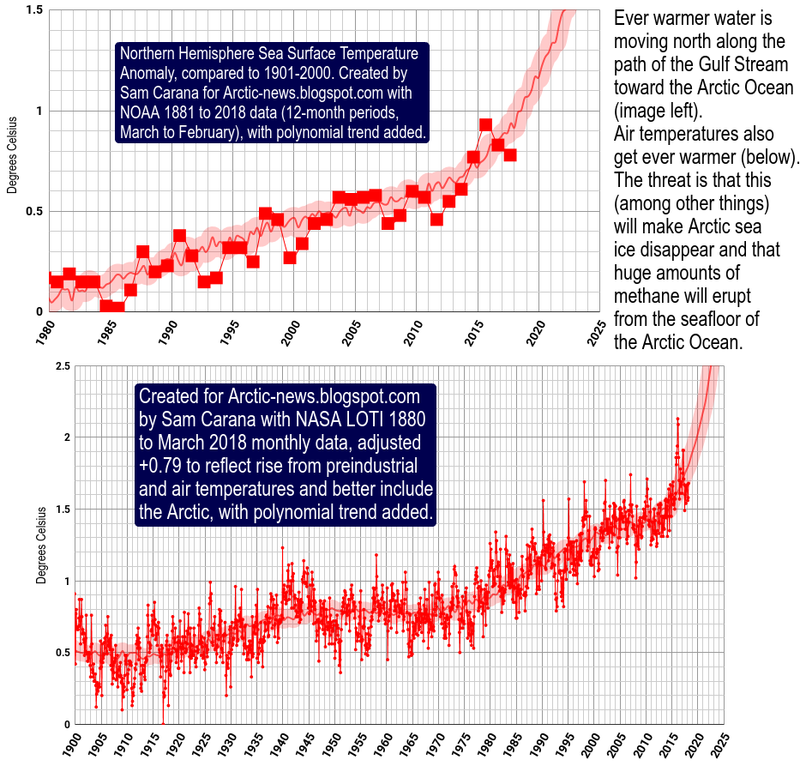 In the lead up to the forthcoming Paris talks, policy makers through their willful neglect of the evidence are in effect normalising a 2.5–3°C global warming target. This evidence in "Recount: It's time to 'Do the math' again" demonstrates that action is necessary at a faster pace than most policy makers conceive is possible. 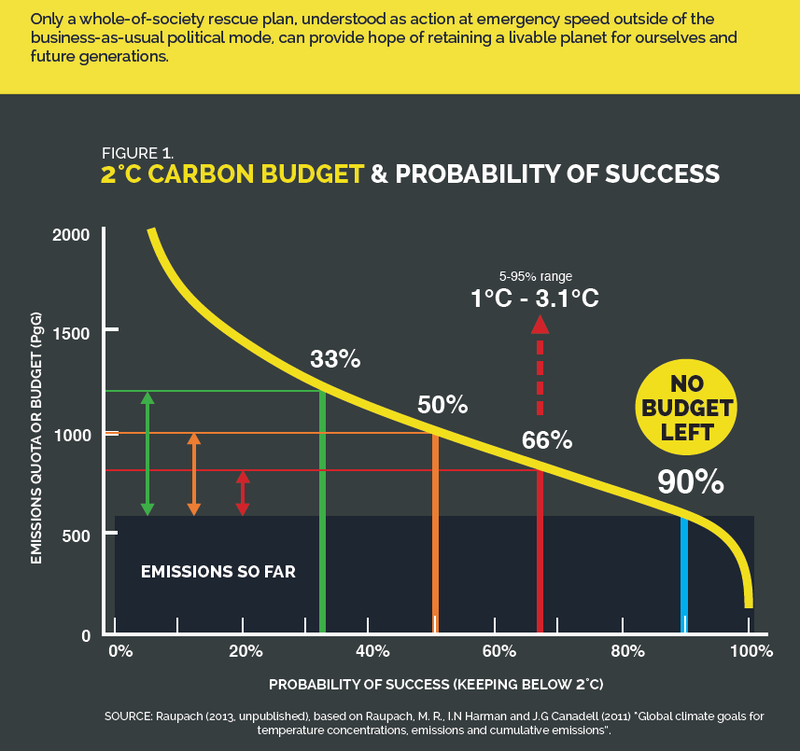 - The real budgetary emergency and the myth of "burnable carbon"
I will also make French subtitles for the important video in there"
Have a nice Sunday, perhaps one with ice cream? Take care and thank you for being my climate mentor. I think there is only one person that can answer to the conundrum of the actual threat posed by global warming: Professor Natalia Shakhova. If the Siberian permafrost seal that keeps trapped thousands of giga-tons of methane weakens to the point that it explosively releases it no need for no plan, no need for nothing, just enjoy life because there is no survivability for the humans race... and to any creature over 1kg in weight at the surface of the Earth. I just respect this report to quote from one of the, for me at least, most important article on possible threats to human existence. Its quote 28: "Speleothems reveal 500,000-year history of Siberian permafrost". "We dated periods of speleothem growth in a north-south transect of caves in Siberia to reconstruct the history of permafrost in past climate states. Speleothem growth is restricted to full interglacial conditions in all studied caves. In the northernmost cave (at 60°N), no growth has occurred since Marine Isotopic Stage (MIS) 11. Growth at that time indicates that global climates only slightly warmer than today are sufficient to thaw extensive regions of permafrost." Please take note of "indicates that global climates only slightly warmer than today" and "are sufficient to thaw extensive regions of permafrost". This two sentences are by itself enough to realize how much the humankind has been lied by the status quo. "Warming of ~1.5°C (i.e., as in MIS-11) may cause a substantial thaw of continuous permafrost as far north as 60°N, and create wetter conditions in the Gobi Desert. Such warming is therefore expected to dramatically change the environment of continental Asia, and can potentially lead to substantial release of carbon trapped in the permafrost into the atmosphere."